New turf agronomics that utilise exciting combinations of fungicides, growth regulators and wetting agents could alleviate plant stress and enhance turf quality, to produce consistently improved playing conditions right through the year. 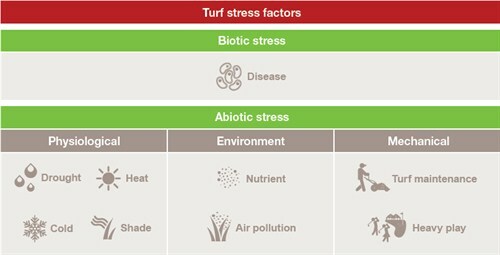 Essential turf management to meet the increasingly stringent demands of today's golfer, along with tough environmental conditions created by weather extremes and polluted air quality, impose immense stress on turf. 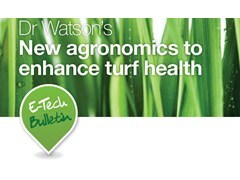 The result is turf plant health being constantly assailed by the challenge of free radicals. 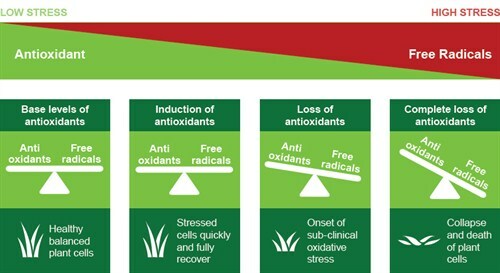 Free radicals are a by-product of normal cellular metabolism, but during periods of stress their numbers can increase significantly and the antioxidant capacity of the plant overwhelmed. Highly-active free radicals, or Reactive Oxidative Species (ROS), move around within the plant, bombarding healthy cells in an effort to equalize their electron imbalance. In the process, healthy plant tissue can be irrevocably damaged, and consequently turf quality suffers. Syngenta research has identified the powerful stimulation of antioxidant activity by Heritage Maxx and Primo Maxx. Along with Qualibra, individually these products contribute to improving plant health, but collectively show cumulative synergistic benefits that can significantly enhance turf quality. Stimulating the level of antioxidant can protect from the damaging effects of pollutants, as well as maintaining green and healthy leaf when plants are under stress attack. 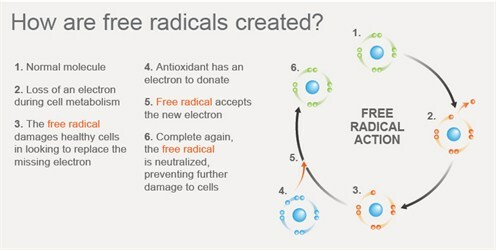 How do product combinations work to target free radicals and relieve stress? New targeted use of agronomics can help to rebalance turf plants' antioxidant capability and delay the onset of drought, for example, illustrated below. Each product individually has a beneficial contribution, but used together have been shown to have an even greater impact in fighting free radicals associated with stress induced effects. 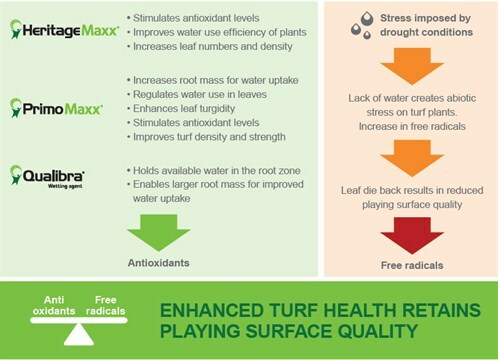 Programmes of Heritage Maxx, Primo Maxx and Qualibra help to alleviate the stresses imposed on turf. Furthermore, such programmes will provide smoother and more consistent surfaces, identified as the most desirable conditions for players to unlock golf's true potential.